Figuring Out the Largest Animal with NO Teeth! 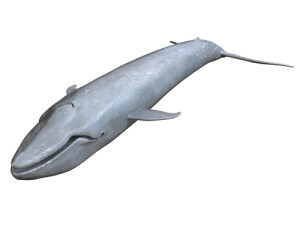 Blue whales are the largest animals alive today and they have no teeth to eat food! Instead blue whales are filter feeders. 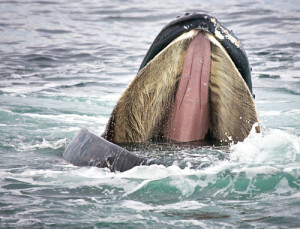 There are a total of 15 types of whales that eat this way. These species are known as Baleen whales, because they have baleen plates instead of teeth. These plates are made up of stiff hairs that look like combs and are used to filter food from ocean water. Baleen whales filter small fish, crustaceans known as krill, and plankton from the ocean water. Baleen whales swallow large amounts of ocean water containing the food and then push the water out of their mouths through the baleen. While letting the water out of their mouths, the baleen keeps the food in their mouths. Humpback whales, gray whales, right whales, mink whales, sei whales, Byrde’s whales, and fin whales are all Baleen Whales. Humpback Whale showing off its baleen inside its mouth! Scientists in Canada estimated that a Blue Whale can consume 480 million calories of food in a single dive. The average person ONLY consumes 2,000 calories per day. In one day, this whale will consume around 12,500 pounds of food to fuel its 300,000 pound (150 ton) body! Feeding occurs eight months of the year and then these whales live off their bubbler reserves for the other four months. Most of the time they dive to a depth of 300 feet to capture their prey. Now these numbers don’t mean much unless you compare them to numbers and amounts that are easier to picture! Compared to blue whales an average adult eats about 4.7 pounds of food in one day. Additionally, 2,000 people who each weighed 150 pounds would equal the weight of one blue whale! If 2,000 people are too hard to picture, a blue whale is roughly the weight of 25 African bull elephants! 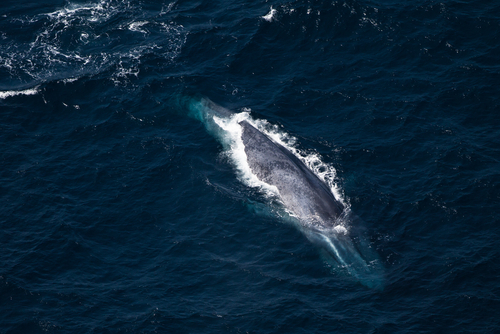 There are a lot more numbers that can be applied to the blue whale that are just amazing- like their hearts weight roughly 1 ton and are about the size of Science Bug! There are about 12,000 blue whales swimming throughout the oceans today where there used to be around 200,000 to 300,000 whales. Before you go off becoming a blue whale expert, try your hand at the math problems below to see what else you can “figure out” about this amazing animal! 1. If you round up the amount of food consumed by the average person, how many times more does a Blue Whale eat? 2. 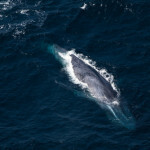 What percentage of its body weight does a blue whale eat in one day? 3. 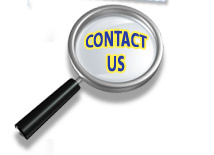 How many tons of food does a blue whale eat using the US short ton conversion (1 ton= 2,000 pounds)? 4. Using the numbers above, what is the average weight of a male African elephant weigh? 5. Can you convert the weight of the African elephant from pounds to tons? 6.If a small dog or large cat weighs 15 pounds, how many would you need to equal the weight of the blue whale? African elephant? And the 150-pound person? 7. If the depth that the whale dives to get its food was compared to football field with the 0 yard line (end zone) being at the surface, what yard line would the whale be diving to? Look for the answers in an up-coming blog post! Send us your answers prior to us posting ours and get your name in the post!